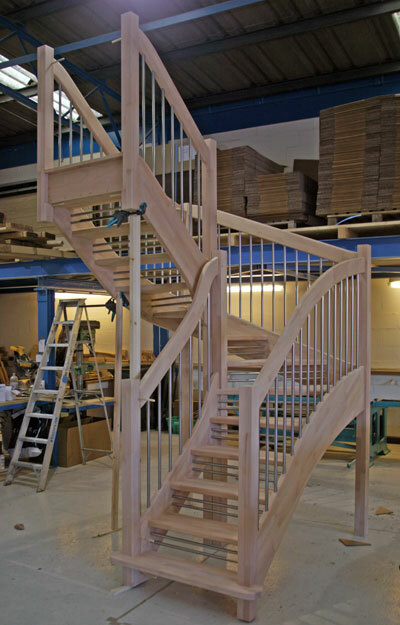 The staircase has twin riser safety bars (Stainless Steel). 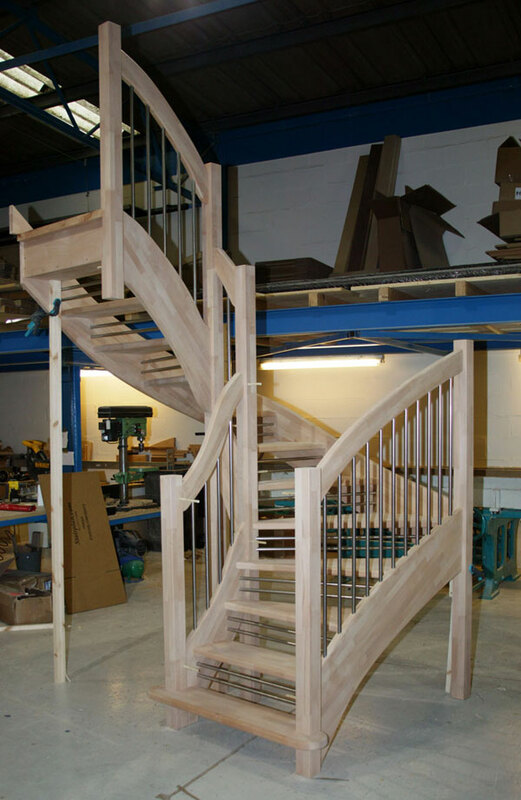 and has handrails to all sides. removing the need for any brackets etc. handrail that follow the line of the stair strings. 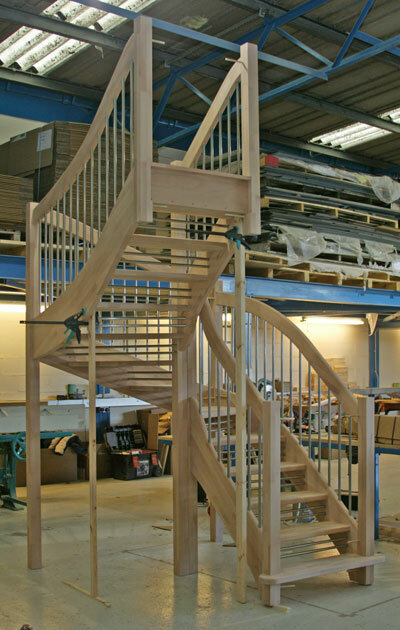 Left - This is a Oak Openplan staircase with a single riser safety bar. 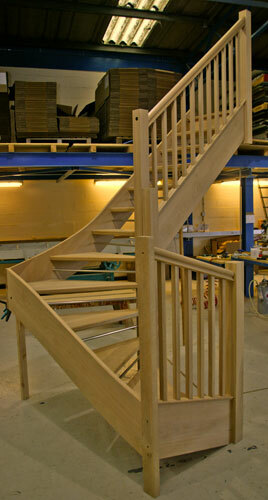 The profile on the handrail is our Standard SHR profile. 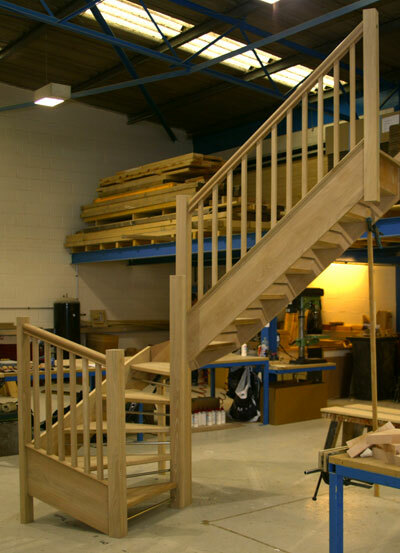 Below - The European Style Handrail on a Beech Openplan Staircase with Twin Riser Bars.